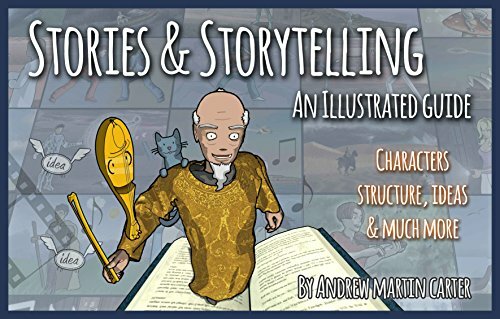 Discover the secrets of stories and storytelling in this visual adventure! Join the Storyteller, his cat and magic fiddle as they take you on an journey and explore characters, genre, conflict, the elements of stories and much more. More than 60 fully illustrated pages. Extra chapter on story techniques.